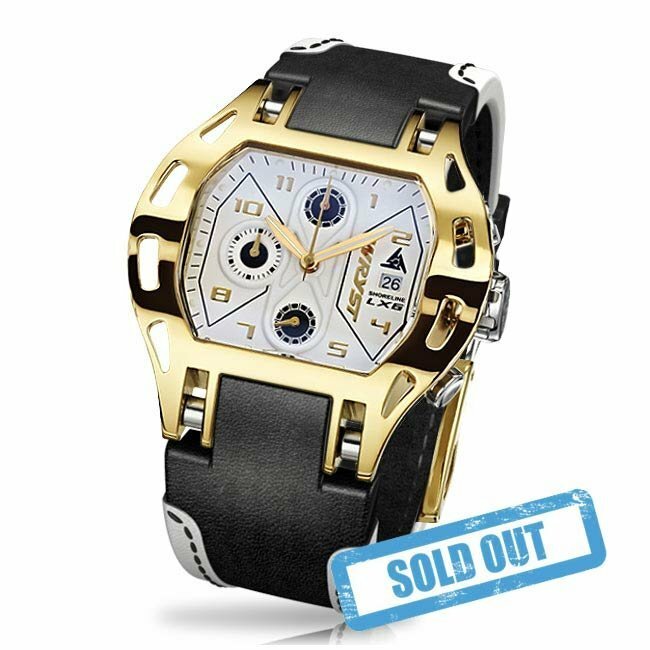 SOLD OUT - Gold Swiss watch Wryst Shoreline LX6 for men produced in Limited Edition of 99 pieces and dedicated to individualists looking to stand out with class and style. 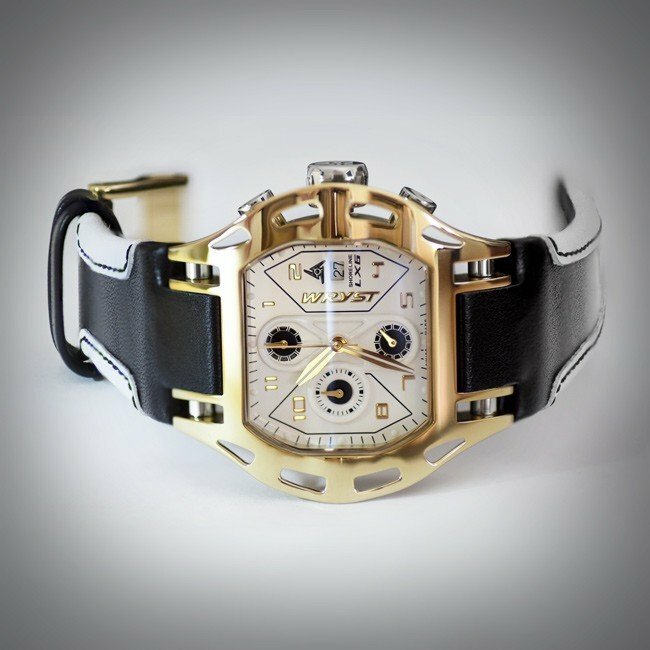 Ideal for both your favorite leisure sports or for going out, you can wear this Swiss chronograph with a ultra comfortable black cowhide leather strap with white side lines. Feel exclusive and suave with this luxury mens watch in polished gold. 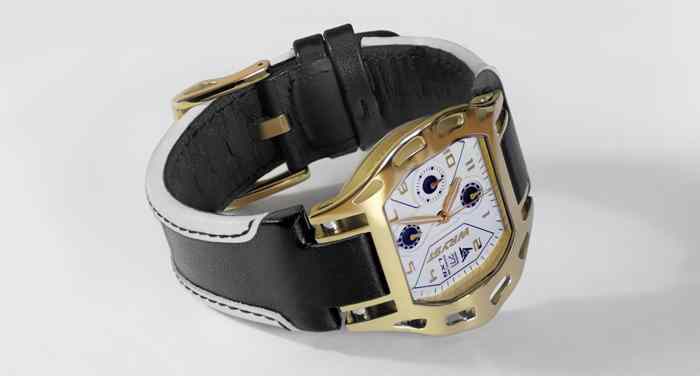 Gold Swiss Sport Watch Wryst Shoreline LX6 with yellow gold case & dial details. This exclusive luxury timepiece is fitted with a "K1" crystal more scratch proof than mineral crystal, and harder than sapphire. 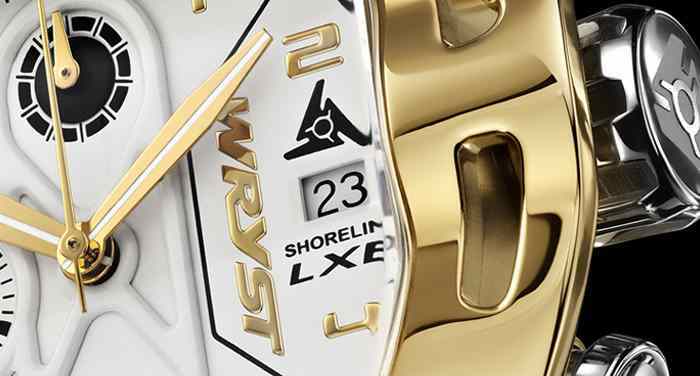 The LX collection proves to be dedicated to individualist people with energy, style and charisma. Built and manufactured in the Swiss traditions, Wryst Timepieces excel watchmaking and redefine elegance and finesse. You will enjoy wearing your lifestyle for your favorite outdoor sportive activities. 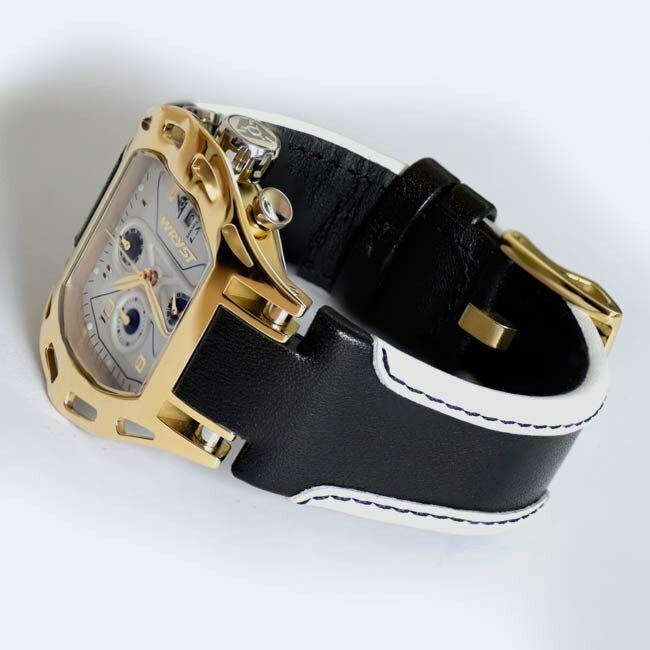 The two-tone cowhide genuine leather strap is 4mm thickness and solidly built and strongly attached to the case with a hard resine insert and unique two screws system. I grow fonder and fonder of my shorelineLX6. I now wear it far more than my two Rolexes (Justdate and Cellini) and all the time when I'm at sea sailing. 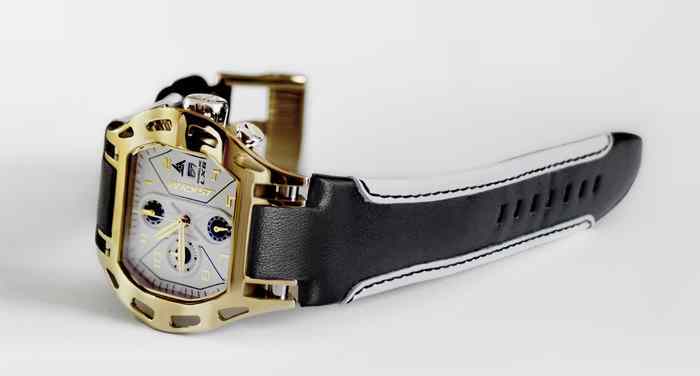 Really nice luxury gold sport watch with a style like no others. It was a big jump for me to buy this watch without seeing it in person. Really happy with prompt/safe delivery and extra complimentary all-black silicone strap. Thank you so much guys at Wryst. Very pleased with my purchase. 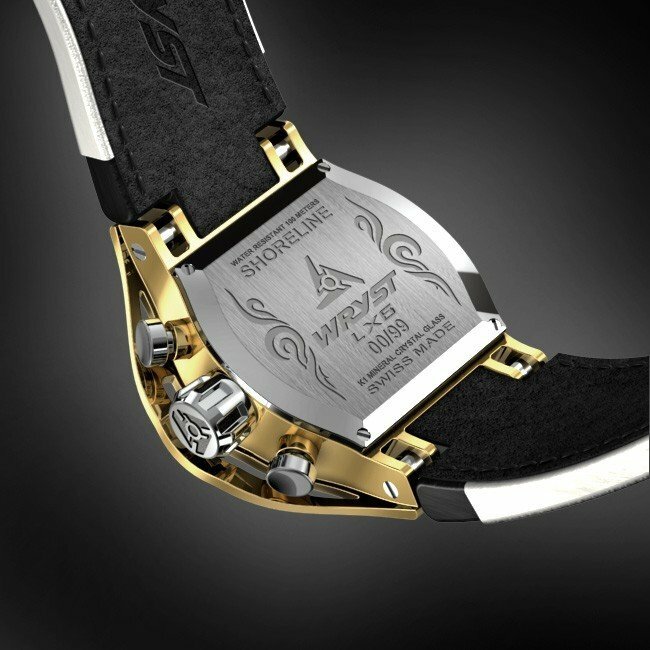 This gold plated watch has a totally unique design. I would buy more watches today if I could.. Thank you customer service, great communication.